Various proofing methods are available to deal with your pigeon problem. 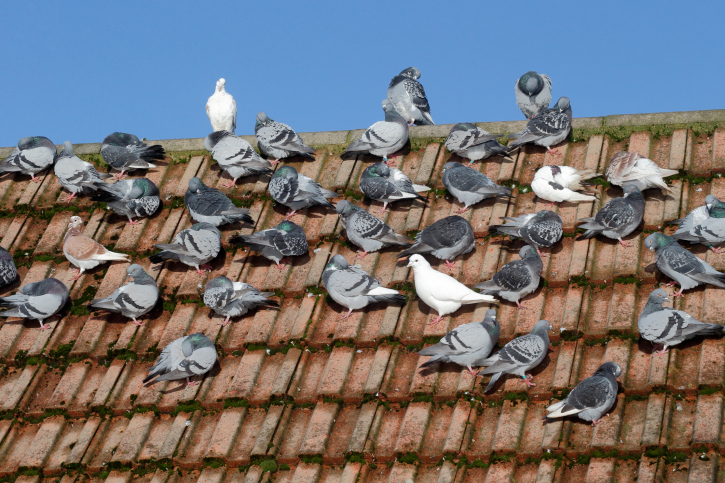 Whether you need pigeon control in a town, city or countryside, Keye Pest Control is the specialist provider for all pigeon proofing methods. Pigeons are Warwickshire’s most common bird pest. They are known to carry several, potentially infectious, diseases, including ornithosis, tuberculosis, salmonella, as well as allergens which can be detrimental to human health. Based in Warwickshirewe offer a pest control inspection of your property that will help you determine if you need wasp control or there is bee hive that has to be removed by a bee specialist. Silverfish are the cheeky guests you don’t want to find in your property. These tiny crawlers are harmless to people and yet can make your home unhygienic if proper silverfish control is not done in time.